Discover the fascinating history, tradition, and modern uses of the witch's mirror. From a variety of spells to making and consecrating your own mirror, The Witch's Mirror presents valuable information for witches of all levels. 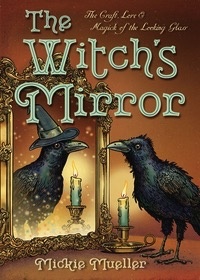 Discover the fascinating history, tradition, and modern uses of the witch’s mirror. From choosing and making the perfect mirror to using it to boost self-esteem and prosperity, this book provides valuable information for witches of all levels. 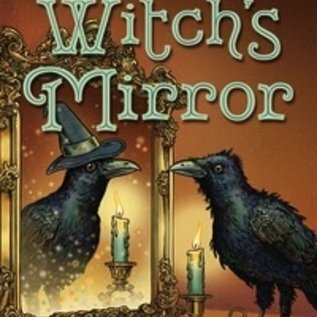 Fun and easy to use, The Witch’s Mirror features advice from well-known witches as well as spells and crafts to enhance your magic. Explore the symbols and practice of scrying, uncover the portrayals of mirrors in legends and pop culture, harness the reflective power of mirrors with meditations, and much more. Mickie Mueller invites you to gaze through the looking glass and see your magical self wielding the mirror as a key tool to a successful, happy, and enchanted life.